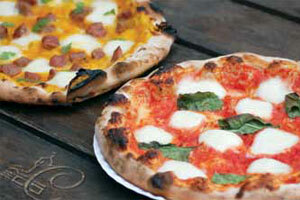 Be the best pizza chef in town and the talk of friends and family! 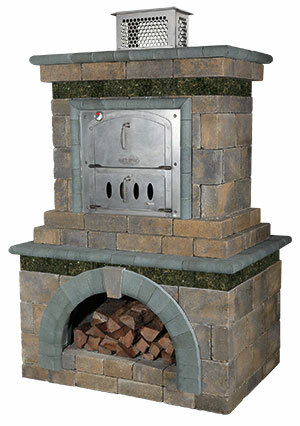 Bake the most delicious, traditional Italian pizza pies, open-faced baguette pizzas, homemade breads as well as roast vegetables and a variety of dishes right in your own backyard… all with authentic, brick oven flavor. The Old World look is further enhanced with an arch design over the wood storage compartment and 2 bands of granite tiles on 4 sides. stainless steel. The bottom section contains an accessible storage area for your logs. 59 1/2″ long, 43 3/4″ deep and 92″ high. 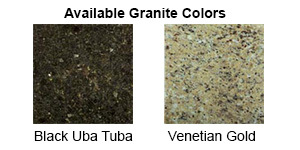 Genuine Granite Tiles Black Uba Tuba. 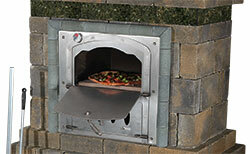 you want to relocate the pizza oven in the future. 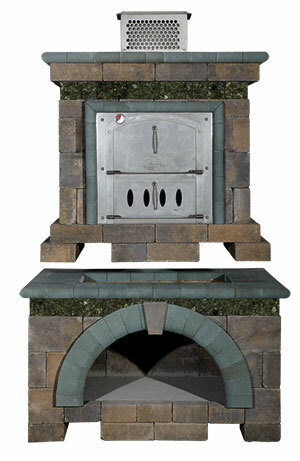 Cambridge Outdoor Kitchen Kit with a matching Cambridge Pizza Oven Kit. Mangia! 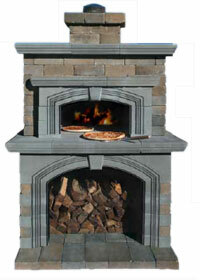 Surround Deluxe in Bluestone shown. 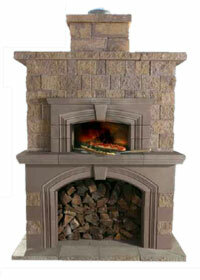 Cast Stone Surround Deluxe in Chestnut shown. element of authenticity to any pizza kitchen.